UNITED NATIONS, June 12 (Xinhua) -- UN Secretary-General Antonio Guterres on Tuesday welcomed the holding of the summit between the leaders of the Democratic People's Republic of Korea (DPRK) and the United States as an important milestone in advancing peace and denuclearization on the Korean Peninsula. In a statement through a UN spokesperson, Guterres said implementing Tuesday's agreements, in accordance with relevant Security Council resolutions, will require patience and support from the global community. In addition, he urged all concerned parties to seize this momentous opportunity and reiterated his readiness to fully support the ongoing process. The UN chief noted in letters to DPRK top leader Kim Jong Un and U.S. President Donald Trump before their summit that the road ahead requires cooperation, compromise and a common cause. Kim and Trump gathered in Singapore Tuesday for a historic meeting. 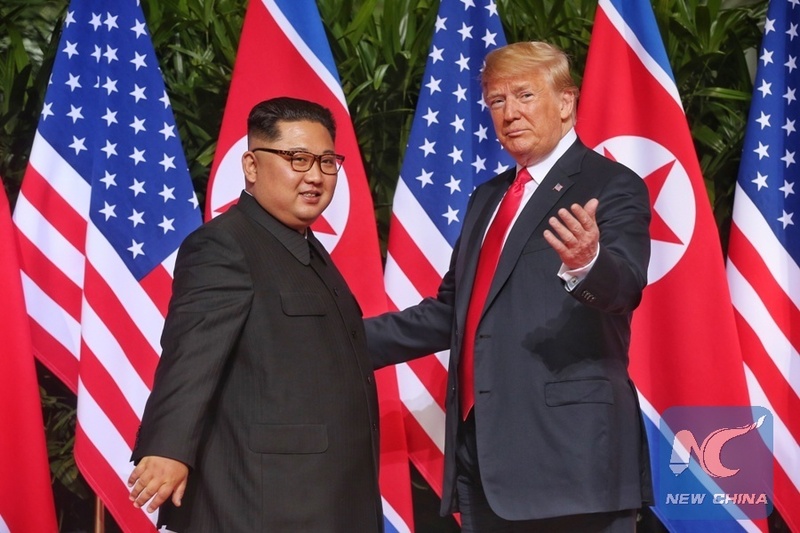 Under a joint statement signed by the two leaders, Pyongyang and Washington agreed on a complete denuclearization of the Korean Peninsula in exchange for security guarantees for the DPRK.